Seaton Begg and his constant companion, pathologist Dr "Taffy" Sinclair, both head the secret British Home Office section of the Metatemporal Investigation Department — an organization whose function is understood only by the most high-ranking government people around the world — and a number of powerful criminals. Begg's cases cover a multitude of crimes in dozens of alternate worlds, generally where transport is run by electricity, where the internal combustion engine is unknown, and where giant airships are the chief form of international carrier. He investigates the murder of English Prime Minister "Lady Ratchet," the kidnaping of the king of a country taken over by a totalitarian regime, and the death of Geli Raubel, Adolf Hitler's mistress. Other adventures take him to a wild west where "the Masked Buckaroo" is tracking down a mysterious red-eyed Apache known as the White Wolf; to 1960s' Chicago where a girl has been killed in a sordid disco; and to an independent state of Texas controlled by neocon Christians with oily (and bloody) hands. He visits Paris, where he links up with his French colleagues of the Sûreté du Temps Perdu. In several cases the fanatical Adolf Hitler is his opponent, but his arch-enemy is the mysterious black sword wielding aristocrat known as Zenith the Albino, a drug-dependent, charismatic exile from a distant realm he once ruled. In each story the Metatemporal Detectives' cases take them to worlds at once like and unlike our own, sometimes at odds with and sometimes in league with the beautiful adventuresses Mrs. Una Persson or Lady Rosie von Bek. At last Begg and Sinclair come face to face with their nemesis on the moonbeam roads which cross between the universes, where the great Eternal Balance itself is threatened with destruction and from which only the luckiest and most daring of metatemporal adventurers will return. These fast-paced mysteries pay homage to Moorcock's many literary enthusiasms for authors as diverse as Clarence E. Mulford, Dashiell Hammett, Georges Simenon, and his boyhood hero, Sexton Blake. 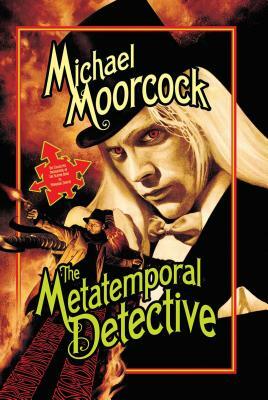 Michael Moorcock is a highly respected author who has won many awards over his prolific career. The author of many literary novels and stories in practically every genre, he has won and been short-listed for the Nebula, World Fantasy, Hugo, August Derleth, Booker, Whitbread, Guardian Fiction Prize, and others. His novella Behold the Man won the Nebula Award. Currently he resides in Texas with his wife, Linda.